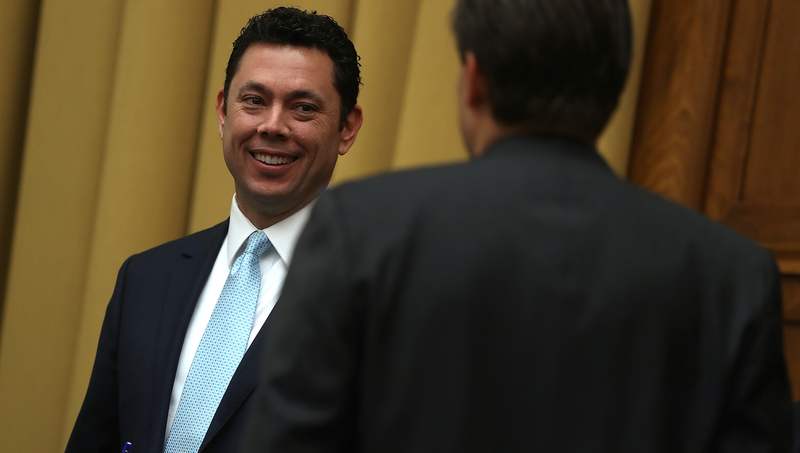 What the Hell Did Jason Chaffetz Do? Rep. Jason Chaffetz, the Utahn and chair of the House Oversight Committee who promised to saddle then-probably president Hillary Clinton with years of investigations, announced on Wednesday that he wouldn’t run for re-election in 2018. Later, he said that he might not even finish his current term. One report circulating on Twitter suggested he’d resign as soon as tomorrow, though he’s reportedly denied it. So, what bad thing did Jase do that’s spooking him so hard? Which is as baffling as it is impersonal. So, no clues there. Guess we’re at a dead end. Instead, let’s put ourselves in a hypothetical congressman’s shoes—and remember, this is not journalism but it is a useful thought experiment. Imagine you’re a theoretical congressman who was very hyped to spend the next four-to-eight years in hearings (why) with Hillary Clinton, but now, not even 90 days into Trump’s presidency, you’re like, “Hee hee, nevermind, I’m tired, this is boring, I didn’t want to play this stupid game anyway.” Why would you do that? You broke into the Democratic National Committee’s headquarters in the Watergate hotel and are engaging in a conspiracy to fix the next election! You killed someone by accident (manslaughter)! You killed someone on purpose (premeditated murder)! You accidentally led a pyramid scheme robbing thousands of needy Americans of their pensions! You are having an affair—and they work in the Russian rezidentura! You are having an affair—and they are a Democrat! You wrote off too many taxes and are guilty of tax fraud! You didn’t pay any taxes and are guilty of tax evasion! You compulsively steal earrings at department stores and have to seek treatment for your kleptomania! You went to adopt a kitten but you felt overwhelmed and accidentally adopted all the kittens in the pound. Now you have to care for those kittens! You turned 50 and realize your passion isn’t in politics, it’s in—wait for it—acting! You’ve gotten involved in a quirky heist and you just have got to see it through, despite your “obligations”! Plus, there’s a girl involved! You want to go to that place where out of favor Republican dolls go to wait for another child to pick them up and play with them again—Fox News! You’re feeling embarrassed and lonely. Obviously, we hope nothing is wrong with Rep. Chaffetz or his family, and that he’s only committed a minor and hilarious crime that he feels a lot of dread about. How about you let me know if you hear anything, and I’ll let you know if I do. Which Quote From The Atlantic&apos;s Jason Chaffetz Profile Makes You Want to Scream the Hardest?